When it comes to clean carpets and flooring, residue left behind by traditional cleaning methods is the problem. Residue from soaps and shampoos attract more dirt to your carpet. That’s why Zerorez® uses a patented process called Powered Water® that electrolyzes regular tap water, altering the pH levels to create the safest, most powerful carpet cleaning system in Tampa Bay. No soaps. No chemicals. No perfume smell. No crunchy feeling. Zerorez® carpet cleaning leaves zero residue from toxic chemicals, so your floors are safe for the whole family and will stay cleaner, longer... guaranteed. Armani was very friendly and professional. He worked extremely fast! He cleaned 2 bedrooms and one area rug in about an hour. I was very impressed with how easily spots and dirt came out when only spraying alkaline water...and that was before he even used the hot water extraction process. He did a very thorough job, making sure to clean up any remaining water that got into our tile around the rug. I am definitely going to use Zerorez again in the future! I was absolutely blown away by not only the service technician, Armani, but the work that he provided. I originally heard about zero rez on the radio and thought that I should try it out. Our dog had recently had an accident in the only carpeted room in the house! I promptly picked up the phone and scheduled an appointment. Armani arrived on time and was extremely professional. He explained everything he did every step of the way. I can't believe how clean and fresh my carpets are ! They look brand new again . Highly recommend using this service. I am very pleased with my carpet! It has been way too long since our last cleaning and I thought it was too far gone. It actually looks almost new again. The technician’s were on time & professional! I would recommend Zerorez to friends and family! Your home deserves the best! Zerorez® cares about keep your whole family safe, which is why our Tampa Bay professional carpet cleaning company uses our patented Powered Water® technology to clean your floors effectively while keeping children and pets safe. We guarantee to give your floors the best cleaning in Tampa Bay. With our patented cleaning process and Powered Water® technology, your carpets will stay cleaner, longer – guaranteed. 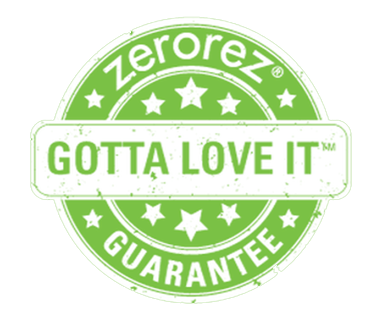 With the Zerorez® clean guarantee, you can trust us to give your carpet, rug, stone, tile and more the best clean in Tampa Bay. We believe residue left behind by traditional carpet cleaning methods is the problem. Contact our nontoxic, soap and chemical-free floor cleaning company today to see the difference a Zerorez® clean can make!